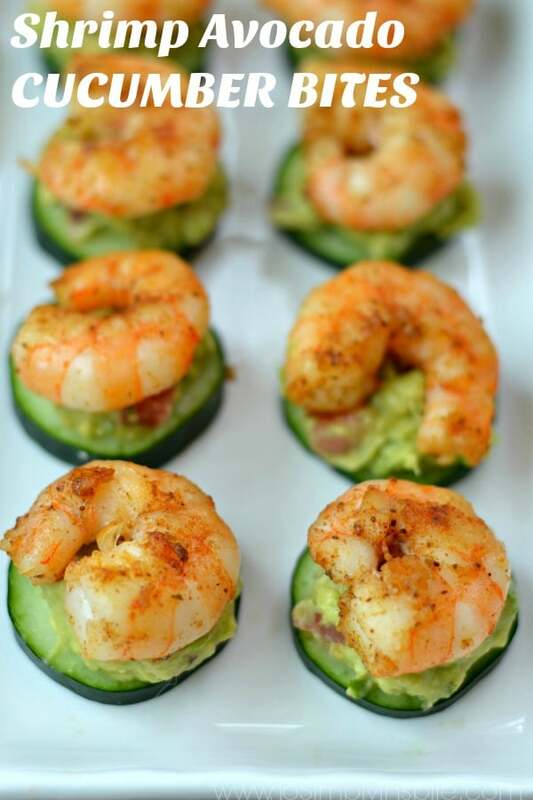 Shrimp Avocado Cucumber Bites – Blackened shrimp, creamy avocado atop fresh cucumbers slices make these a wonderful choice for a light lunch or perfect appetizer. I have had a craving for more seafood in my life lately. 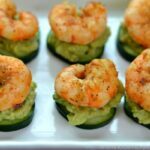 We seem to gravitate to salmon each week but as I was standing at the seafood counter the other day, shrimp was calling out to me. I simply cooked the shrimp in a little coconut oil and Old Bay seasoning and used them to make the most delectable shrimp tacos. 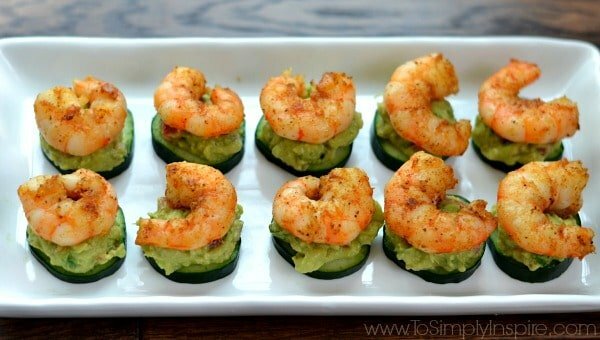 The bonus was that I had a just enough shrimp left over to also make a super healthy lunch served on a nice crisp little cucumber slice…aka these Shrimp Avocado Cucumber Bites. 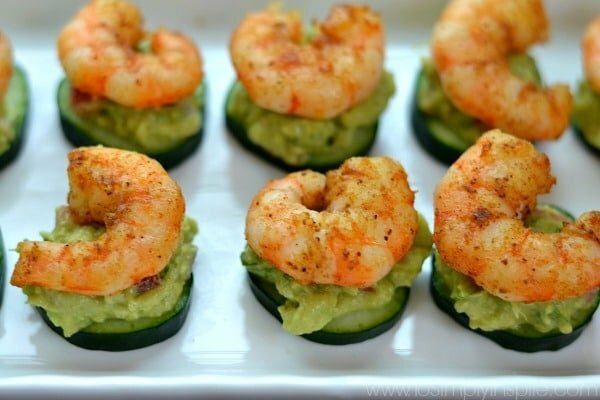 They would make a fantastic appetizer for your next party as well. Cook in a preheated pan on medium high heat for about 2-3 minutes per side.